Klahoose Arborglyph Ceremony. Source: Klahoose First Nation. The Klahoose Cultural Leader Norman Harry Sr. and a Tla’amin Cultural Leader Erik Blaney witnessed and performed a ceremony to ensure cultural protocol was observed. The heartfelt moments before the tree was harvested was both moving and surreal on that snowy winter Friday. Needless to say that the emotional event was a historical moment for those who witnessed. Father Adrien-Gabriel Morice was a Catholic missionary working in the Skeena and Bulkley River areas of western British Columbia during the later 19th century. He is perhaps best known for his documentation and writing system for the “Carrier” (Yinka Dene) language, but he also published a major work entitled Notes Archaeological, Industrial and Technological of the Western Denes, with an Ethnographical Sketch of the Same (1893). The work is a cornucopia of careful observation mixed with some interesting, and occasionally rather religiously judgmental and speculative, commentaries. One of the most interesting short passages is excerpted above: Morice records how to make stone tools via flaking. Because metal tools became widely available in the early historical period and had some superior qualities, such accounts of traditional flaked stone (the bread and butter of archaeological sites) are very rare. 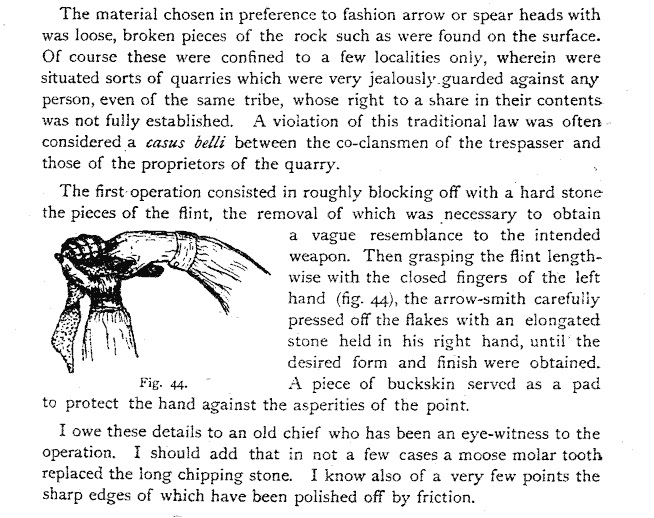 The figure above appears accurate in its description of the slightly awkward-seeming way of holding the stone: I have seen this palm grip used by many contemporary flintknappers. Elsewhere, Morice records a series of Yinka Dene names for different stones, including chalcedony and obsidian. You can page through his book, but not download it in entirety, here at Canadiana.org. The illustration above is from Page 65 on the drop down menu. (Why they don’t just make a link to the whole PDF is beyond me). 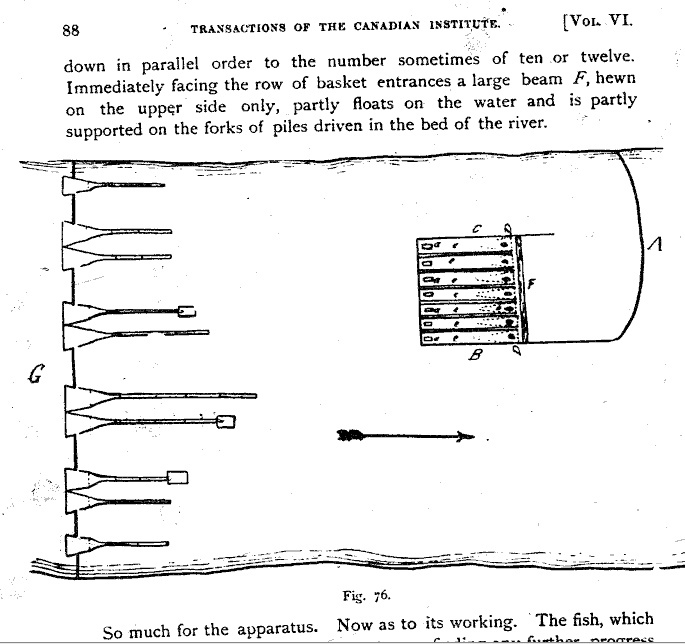 There are other informative sections, such as about 10 pages describing the operation of fish-traps and weirs. 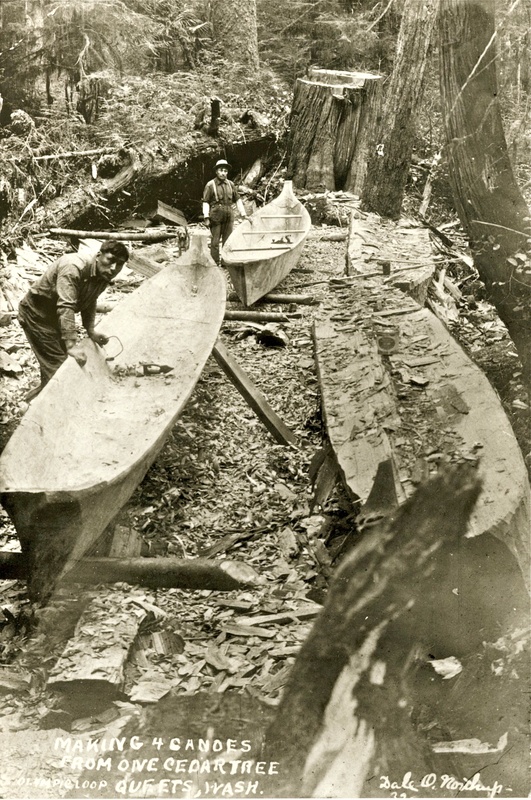 "Making 4 canoes from one cedar tree, Olympic Loop, Queets, Washington. Yesterday I posted on canoe steaming. In the process of preparing that, I ran across an eye-popping photograph, above. Seriously, I have been working on Northwest Coast Archaeology for over two decades. I have a pretty good memory. But I’d never seen this picture before, which shows four dugout canoes being made from a single red cedar felled on the Queets River, Washington State. Click it for pretty high resolution. This would presumably be territory of the Queets Tribe, who are now part of the Coast Salish speaking Quinalt Indian Nation. Imagine the complex and revealing archaeological site left behind: the wood shavings, the planks, the skids, broken tools, coffee cups … years ago I worked on an excavation of a Culturally Modified Tree Site in Clayoquot Sound and we found superbly preserved wooden wedges, woodchips and other evidence of intensive logging and carpentry — evidence which, given the durability of cedar, could easily last for centuries. Such a contrast to those sites dominated by stone tools: wood was where it was at on the Northwest Coast and yet archaeologically we see much less of it, and think about it less, than we ought to. I don’t know much more about this picture than the caption. If you do, then leave a comment! Makah whaling canoes on the beach at Neah Bay. These are stylistically similar to the ones being made above and to the one being steamed in yesterday's video. 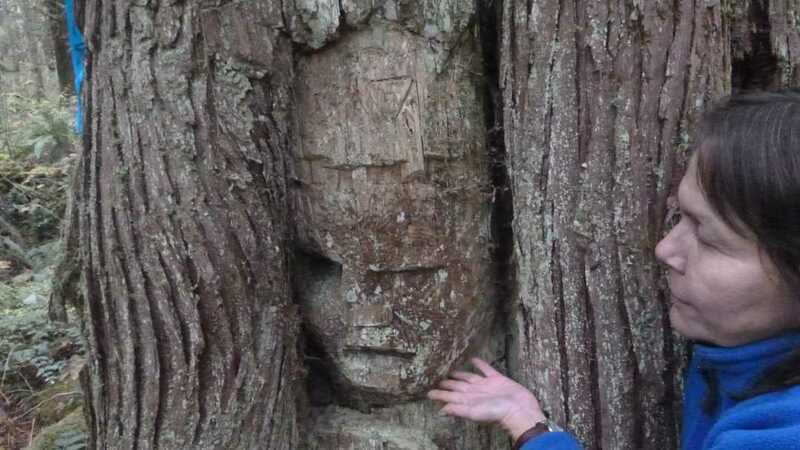 Carved face on a Calvert Island tree. Photo: Dan Leen. I’ve mentioned Dan Leen’s excellent web page before. When I was on Teredo N. with him I heard many excellent stories including how he came across a spectacular carved tree on Calvert Island, near Namu. Finally I get to see what he meant. This strikes me as the work of a trippy bush hippy (and maybe Dan himself, heh) more than a NW Coast thing, but it is fun nonetheless. Incidentally, “Arborglyph” is a Frankenstein word melding Greek and Latin roots and should probably be replaced with “dendroglyph”, which is also easier to say.